WHEN ORDERING, ENTER THE TOTAL NUMBER OF FEET REQUIRED IN THE QTY FIELD. Tressil® is our most popular silicone hose. Sizes available from 3/8”-1" in any length with many options for crimped end fittings. 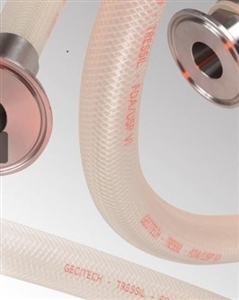 GC.TR45210-0.38 SILICONE HOSE - 3/8"
GC.TR45213-0.50 SILICONE HOSE - 1/2"
GC.TR45219-0.75 SILICONE HOSE - 3/4"
GC.TR45225-1.00 SILICONE HOSE - 1"